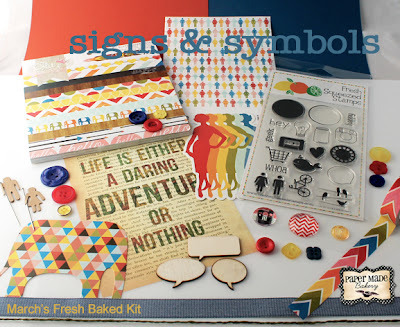 TOUCH OF CREATION: Paper Made Bakery March Bloghop!!!! Paper Made Bakery March Bloghop!!!! Welcome to Paper Made Bakery March Release Day Blog Hop!!! If you're from Lovely VERA's Blog ...you're right on track if you're joining me now please hop over to PMB blog to start from the beginning. I'm posting from a friend's home in NJ now....didn't much time to play with this amazing kit due to my big move around the World. There is a gorgeous Washi tape in this kit.... used it for my card and the sentiment is from The GLITZ paper collection. Moxie Fab World: Washi tape challenge. Really a clean and simple card which I love! Fabulous design! Love how you used the washi tape! 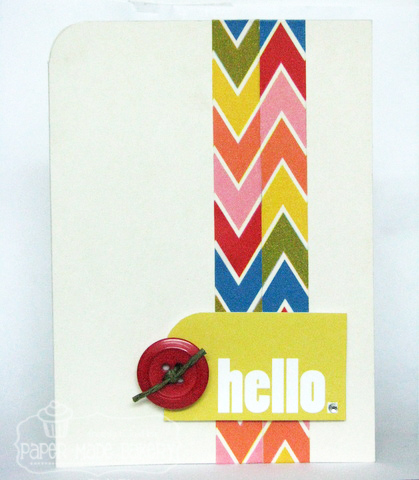 such a cute card...love that chevron washi tape..
New follower :) My fav cards are "Just Because" - Gives me a good excuse to make something! Awesome colours Piali, love the clean design. That washi tape looks super fun! That is some of the cutest washi tape I've seen!! That is awesome washi tape! I just love the bright colors in this collection! Thanks so for sharing your card!!! Really great CAS card!!! I was dancing when I found out this is washi tape, I have this kit on the way and it will be my first ever Washi tape!!! I love how you used it! TFS and for the inspiration! How fabby, love your card, Piali! Bright and beautiful! I love your use of this Washi tape! Happy to see your creations! CASual Fridays Stamp New release!! !